I have a friend who runs Blow the Scene, and he commissioned me to draw an image for a poster for his annual PAWS Benefit show. I was psyched to do it, and I came up with this idea on a train ride in a note book. I sent him a photo of a sketch, he approved, and I went home and wrapped it up. It was a quick piece, but just a blast to do! It was for a punk show so I decided to just go with the famous Circle Jerks Skank pose for it and just went from there. 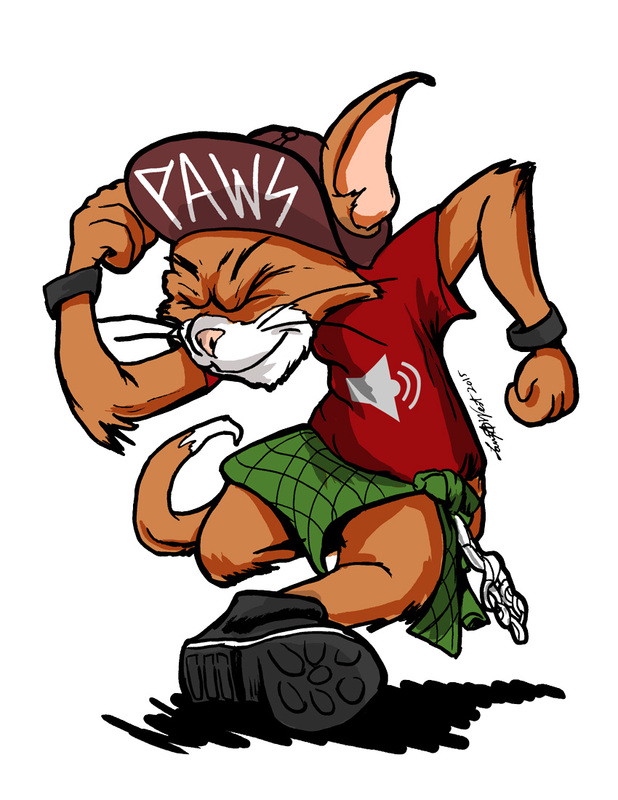 The awesome dude has a PAWS baseball cap and a Blow the Scene shirt.